The 11th annual Regulatory and Examination Priorities Letter (the “Letter”) repeated much from last year, as FINRA Chairman and CEO Richard Ketchum himself concedes in his cover letter. A top concern for both 2015 and 2016, he states, relates to an increase in interest rates, and interest rate sensitive products. Returning favorites also include firm “culture, ethics and conflicts of interest.” And related to culture, Mr. Ketchum includes supervision generally and supervision related to conflicts of interest as top priorities for 2016. Firms’ approaches to monitoring concentration should be dynamic, taking into account changing market, issuer financial condition or other factors that may increase concerns about concentration in a particular product. For example, increases in short-term volatility in high-yield and speculative bonds, or financial challenges with a municipal issuer may alter a product’s risk-return profile, possibly making concentration a riskier proposition for certain investors and one that is at odds with the investor’s profile. The use of the word “dynamic” to describe “monitoring” certainly is not accidental. But what does that term mean to financial services firms and their advisors on a day-to-day basis? Let’s examine the context, the relevant rules, the notices to members, and the regulatory notices. The Letter characterizes the fundamental obligation of suitability as being “more challenging” in the context of “recommendations regarding complex, speculative or longer duration interest-sensitive and alternative products.” That is because their characteristics and heightened risks make them more difficult for retail investors to understand and often require additional scrutiny. In this regard, the Letter observes that while some firms have established “robust systems to support such recommendations”, others have not done so and, indeed, do not even have systems tailored to the specifics of the product offerings. As examples of such products, the Letter lists high-yield and speculative bonds, unlisted equities, alternative mutual funds, emerging market funds, structured products, non-traditional exchange-traded products (ETPs) and securities-backed lines of credit (SBLOCs). The Letter cites Notice to Members 05-26 (“New Products”) and well as Regulatory Notice 12-03 (“Complex Products”). To supplement the analysis, one also needs to be familiar with Regulatory Notice 11-02 (“Know Your Customer and Suitability”), Regulatory Notice 11-25 (“Know Your Customer and Suitability”) and Regulatory Notice 12-25 (“Suitability”), all of which addressed and/or clarified new FINRA Rule 2090 (“Know Your Customer”) and new FINRA Rule 2111 (“Suitability”). Among other things, those new rules expanded (or at least codified) continuing duties to customers beyond the transaction. Regulatory Notice 12-25 contains an informative answer to the question of what constitutes “reasonable diligence” in attempting to obtain the customer-specific information required by new Rule 2090, the “Know Your Customer” rule. The rule requires financial services firms (and their advisers) to “use reasonable diligence, in regard to the opening and maintenance of every account, to know (and retain) the essential facts concerning every customer and concerning the authority of each person acting on behalf of such customer.” And an important aspect of new Rule 2090 is its emphasis on requiring Know Your Customer information not just at the time that the account was opened, but also throughout the life of the account relationship with the customer, so that the account may be effectively serviced and supervised. What is reasonable due diligence? 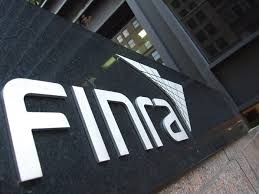 FINRA answers that what is reasonable depends upon the facts and circumstances, and that absent any “red flags” indicating that the customer information is inaccurate or that the customer is unclear about the information, an adviser generally will be able to rely on that information, for example, in making investment recommendations. - Other “red flags” exist indicating that the customer information may be inaccurate. FINRA reminds the reader in Regulatory Notice 11-02 that the new suitability rule applies to strategies. FINRA states that the term “strategy” is to be interpreted broadly, and that the rule is triggered when a firm or adviser recommends a security or a strategy regardless of whether the recommendation results in a transaction. Most critical, FINRA states that “the term ‘strategy’ would capture a broker’s explicit recommendation to hold a security or securities.” FINRA explains that it is reasonable to hold firms and their advisers responsible for “hold recommendations” because customers may rely on them for their expertise. - and Using margin loans to purchase investments. Combined, the three regulatory notices provide critical guidance that can be applied to the recommendations, and the “dynamic” monitoring, of complex and interest rate sensitive products. First, the significance of securing and updating accurate customer profile information cannot be understated. For example, in Regulatory Notice 11-25, FINRA discusses a customer’s liquidity needs, time horizon and risk tolerance for investments as being important considerations for the suitability requirements contained in new Rule 2111. “Rule 2111 prohibits a member or associated person from recommending a transaction or investment strategy involving a security or securities or the continuing purchase of a security or securities or use of an investment strategy involving a security or securities unless the member or associated person has a reasonable basis to believe that the customer has the financial ability to meet such a commitment” (emphasis added). The new rule thus envisions situations in which an investment recommendation or a strategy recommendation is unsuitable for an investor because he or she cannot afford to lose his or her principal. The Letter cites Notice to Members 05-26, an oldie but goodie to learn the best practices associated with the review of new products. -Is the product new to the marketplace or the firm? -Is the firm proposing to sell a product to retail investors that it has previously only sold to institutional investors? Will the product be offered by representatives who have not previously sold the product? -Does the product involve material modifications to an existing product, whether risk to the customer, product structure, or fees and costs? -Does the product require material operational or system changes? -Is the product an existing product that is being offered in a new geographic region, in a new currency, or to a new type of customer? -Would the product involve a new or significant change in sales practices? -Does the product raise conflicts that have not previously been identified and addressed? FINRA (NASD at the time) notes that the list is not exhaustive, and that firms should err on the side of treating a product as new for purposes of review. -For whom is this product intended? Is the product proposed for limited or general retail distribution, and, if limited, how will it be controlled? Conversely, to whom should this product NOT be offered? -What is the product’s investment objective? How does the product add to or improve the firm’s current offerings? Can less costly, complex, or risky products achieve the objectives of the product? -What assumptions underlie the product, and how sound are they? What market or performance factors determine the investor’s return? -What are the risks for investors? If the product was designed mainly to generate yield, does the yield justify the risks to principal? What costs and fees for the investor are associated with this product? -Why are they appropriate? Are all of the costs and fees transparent? How do they compare with comparable products offered by the firm or by competitors? -How will the firm and registered representatives be compensated for offering the product? Will the offering of the product create any conflicts of interest between the customer and any part of the firm or its affiliates? If so, how will those conflicts be addressed? For example, does the firm stand to benefit from the sale of the product beyond the clearly disclosed sales charges or commissions (i.e., revenue sharing arrangements)? If so, the firm may have an obligation under NASD Rule 2110, governing just and equitable principles of trade, to disclose that conflict, even if the product is otherwise suitable, generally or for a particular investor. -Does the product present any novel legal, tax, market investment, or credit risks? -What is the complexity of the product in structure, function, and description? Does such complexity impair understanding and transparency of the product? Does such complexity impact suitability considerations and/or the training requirements associated with the product? -What are the qualifications of the people making determinations about a new product’s assumptions, performance, and risk, and do such qualifications comport with the expertise necessary to reach sound conclusions? -Will the product necessitate the development or refinement of in-firm training programs for registered representatives and their supervisors? If so, how and when will the training be provided? -Will this product be sold only by the firm, or by third parties? How liquid is the product? Is there a secondary market for the product? -Do the firm’s current systems support the product, or will new systems be required? If promises will be made to customers (such as volume-based discounts), can current systems deliver on those promises? -Does the structure or a feature of the new product, including the proposed sales plan, implicate any additional regulations (i.e., NASD Rule 2860 or NASD Rule 2720)? Some firms require that complex products, those approved on a contingent or limited basis, or those based on critical market assumptions, be formally reviewed for a specific period of time, often six months or a year. This allows the firm to assess product performance, determine whether product limitations and other post-sale compliance requirements are met, and to evaluate whether market conditions have altered the risks associated with the product. -Review any product before lifting any restrictions or conditions on the sale of the product. The second publication cited in the Letter is Regulatory Notice 12-03. Whereas NTM 05-26 discussed new products, 7 years later in 2012 this regulatory notice discusses complex products, and the heightened supervision that is required. The regulatory notice begins by describing the characteristics of complex products. In FINRA’s eyes, any product with multiple features that affect its investment returns differently under various scenarios is potentially complex. FINRA states that that particularly is true if it would be unreasonable to expect an average retail investor to discern the existence of those features and to understand the basic manner in which these features interact to produce an investment return. -Asset-backed securities that are secured by a pool of collateral such as mortgages, payments from consumer credit cards or future royalty payments on popular music, may be difficult for retail investors to understand. With these securities, the creditworthiness of the underlying borrowers or the existence of prepayment risks, though critical to the evaluation of the product, may not be readily apparent to retail investors. Similarly, unlisted REITs may present liquidity and valuation issues for a retail investor. -- In which repayment of principal or payment of yield depends upon a reference asset, when information about the performance of the reference asset is not readily available to investors. An example is structured notes with an embedded derivative for which the reference asset is a constant maturity swap rate. -- That provide for different stated returns throughout the lifetime of the product. For example, “steepener” notes typically offer a relatively high teaser coupon rate for the first year, after which they offer variable rates determined by the steepness of a yield curve. Similarly, some firms have offered structured notes with payoffs contingent on whether one or more reference asset performs within a certain range. -- Under which the investor might incur a capital loss as a result of the fall in the value of the reference asset without being able to participate in an increase in its value. So-called “reverse convertible notes” may fall into this category. -- In which a change in the performance of the reference asset can have a disproportionate impact on the repayment capital or on the payment of return. For example, “knock in” or “knock out” features associated with reverse convertible notes, in which a drop in the value of the reference asset to a pre-defined level, can affect determination of an investor’s gains or losses. - Products with contingencies in gains or losses, particularly those that depend upon multiple mechanisms, such as the simultaneous occurrence of several conditions across different asset classes. An example is range accrual notes for which the return of principal can depend upon the value of two or more reference assets on certain pre-defined dates. - Structured notes with “worst-of” features, which provide payoffs that depend upon the worst performing reference index in a pre-specified group. These notes can limit the return of principal at maturity if either the reference index falls by a stated percentage (e.g., 30 percent) or if any of the reference indices decline in value since the date of issue. - Investments tied to the performance of markets that may not be well understood by many investors. For example, some exchange-traded products offer retail investors exposure to stock market volatility. Some of these products also provide inverse or leveraged exposure. The investable form of volatility may be in the form of futures on the CBOE Volatility Index (VIX) that reflect the market’s expectation of volatility. Some investors may not understand that the product’s return may not be based on VIX fluctuations actually experienced on a given day, but on the market’s expectation of future volatility. - Products with principal protection that is conditional or partial, or that can be withdrawn by the product sponsor upon the occurrence of certain events. Notes that can lose their principal protection based upon a stated event represent an example of a product with this feature. - Product structures that can lead to performance that is significantly different from what an investor may expect, such as products with leveraged returns that are reset daily. Leveraged or inverse exchange-traded funds exemplify this feature. Many leveraged and inverse ETFs “reset” daily, meaning that they are designed to achieve their stated leverage or inverse objectives on a daily basis. Their performance over longer periods of time can differ significantly from what might be expected based on their daily leverage or inverse factor. - Products with complicated limits or formulas for the calculation of investor gains. For example, some structured notes have a payout structure that tracks the upside performance of a reference asset one-for-four, but if the reference asset’s performance exceeds a specified threshold the payoff is reduced to a much lower, pre-set level, regardless of how it performs afterward. - For whom is this product intended? Is the product proposed for limited or general retail distribution, and, if limited, how will it be controlled? Conversely, to whom should this product not be offered? -What is the product’s investment objective and is that investment objective reasonable in relation to the product’s characteristics? How does the product add to or improve the firm’s current offerings? Can less complex products achieve the objectives of the product? - What assumptions underlie the product, and how sound are they? How is the product expected to perform in a wide variety of market or economic scenarios? What market or performance factors determine the investor’s return? Under what scenarios would principal protection, enhanced yield, or other presumed benefits not occur? - What are the risks for investors? If the product was designed mainly to generate yield, does the yield justify the risks to principal? - How will the firm and registered representatives be compensated for offering the product? Will the offering of the product create any conflicts of interest between the customer and any part of the firm or its affiliates? If so, how will those conflicts be addressed? - Does the product present any novel legal, tax, market, investment or credit risks? - Does the product’s complexity impair understanding and transparency of the product? How does this complexity affect suitability considerations or the training requirements associated with the product? - How liquid is the product? Is there an active secondary market for the product? A well-designed system of internal controls should include a process to periodically reassess complex products a firm offers to determine whether their performance and risk profile remain consistent with the manner in which the firm is selling them. While a firm’s procedures for approving specific complex products will help to ensure that the solicitation of investors is properly supervised, firms also should consider developing procedures to monitor how the products performed after the firm approved them. Every product presents risks that may cause the product to perform differently than anticipated, particularly when market conditions have changed. “Dynamic” monitoring of changing market conditions, issuer financial conditions, and other factors clearly have a historical precedent in the FINRA discourse. The challenges, however, arguably are greater with products and strategies that are directly and substantially impacted by the movement in interest rates. As a result, it would be prudent for FINRA to issue another regulatory notice providing further guidance. More is needed from FINRA to explain “dynamic” monitoring, as interest rate sensitive products are the most difficult, or one of the more difficult, products to understand, to recommend in a suitable fashion and to monitor successfully.